Morocco issues 200 MW PV tender - The Maghreb Times ! Moroccan state-owned utility Office National de l’Electricité has started the pre-qualification process for selection of EPC contractors for the Noor Atlas projects, a 200 MW scheme to deploy seven PV plants in the south and east of the country. German development bank KfW is backing the project. The tender is divided into two lots: one for the construction of five plants – in Ain Beni Mathar, Bouanane, Boudenib, Boulemane (Enjil) and Outat El Haj – all in eastern Morocco; and a second for facilities in Tata and Tan-Tan, in the south. Moroccan newspaper Le Matin reported the project is being backed by the KfW and the European Investment Bank with around €130 million, and that projects will range in size from 20-30 MW. Other lenders may include French development agency AFD, the African Development Bank and the SFI unit of the World Bank, reported the newspaper. 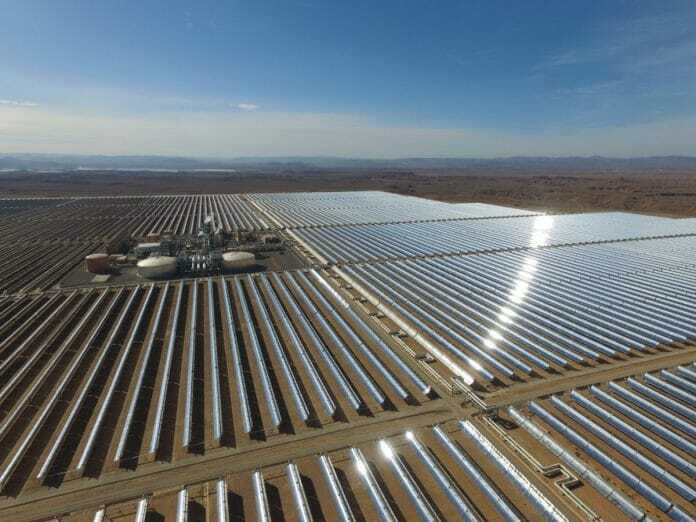 The Noor Atlas project, conceived in 2015, is part of Morocco’s plan to add 2 GW of solar and wind power capacity by next year, and initially included eight projects ranging in size from 10-30 MW. Morocco has several more solar projects under development and construction including the 170 MW NOOR PV I project – the PV portion and fourth phase of the 580 MW Ouarzazate Solar Power Station, a CSP-PV solar complex in the Drâa-Tafilalet region of central Morocco; the 120 MW Noor Tafilalet plant, tendered in 2017; the 200 MW Noor Argana project, which is expected to be tendered this year; and the 800 MW Midelt project, which has a CSP phase accounting for more than 80% of its capacity, plus a PV section. Through its energy strategy, Morocco wants to increase the share of renewables in its installed power generation capacity to 42% by next year, and to 52% by 2030. Its solar plans are being implemented by the Moroccan Agency for Solar Energy.